Academy Award winner for Best Actress in a Lead Role, Cate Blanchett, played..
Academy Award winner for Best Actress in a Lead Role, Cate Blanchett, played the part of a beguiling vintage beauty in this curly coif at the 2014 Oscars. We love the big, loose curls of this retro hairstyle as opposed to creating the original stiff version. It’s a very romantic style that’s fit for any formal event. This teen’s brown hair is styled in a vintage beehive hairdo. To give the look a m.. This teen’s brown hair is styled in a vintage beehive hairdo. To give the look a modern edge, her long, straight hair was crimped with a crimping iron and brushed out to create an interesting texture. The look was finished with a hot pink head band. This hairdo would look great with any type of formal dress with either a high or low neckline. A beehive is a great way to stand out at prom. Kirsten Dunst kept things simple and soft with this girly hairdo. Her hair remin..
Kirsten Dunst kept things simple and soft with this girly hairdo. Her hair reminds me of old-Hollywood glamour reminiscent of Marilyn Monroe or Grace Kelly. Her beautiful blonde hair is twisted back at the top making this look a perfect low-maintenance look for prom. Kendall Jenner shows us how to add drama to an otherwise mundane hairstyle. A g..
Kendall Jenner shows us how to add drama to an otherwise mundane hairstyle. A good lift at the crown can make the face look slimmer and gives the overall look an elegant vintage appeal. Use dry shampoo to give hair the necessary texture needed to do a pouf. Blow dry hair flat before gliding flat iron on thin strands to make them glossy and straight. Karina Smirnoff chose an old-Hollywood style vintage look for the 29th Annual Sa..
Karina Smirnoff chose an old-Hollywood style vintage look for the 29th Annual Santa Monica International Festival held last week. Karina’s dark brown bob was curled and tucked behind one ear. She wore this hairstyle with a beautiful white lacy eyelet dress to the festival’s Virtuosos Award Ceremony on February 4, 2014. Doesn’t Julia Ormond’s loose bouffant hairstyle remind you of Jackie O’s? Curled..
Doesn’t Julia Ormond’s loose bouffant hairstyle remind you of Jackie O’s? Curled ends and the absence of dryness makes Julia’s version ultra modern. In order to get a good height in front, you need to apply a liberal amount of volumizing mousse. Doing this will also lessen the necessary teasing needed to make your hair go boom. Make the style last by applying a medium-hold hairspray with conditioning effect. Voluminous waves with a touch of throwback appeal is highly flattering for all w..
Voluminous waves with a touch of throwback appeal is highly flattering for all women. Use hot rollers for well-defined curls that will last longer. Shape the curls using your fingers and make them appear less sculpted. Opt for a softer, touchable look. Orianthi’s half up hairstyle with subtle curls, a bouffant top and blunt fringe scr..
Orianthi’s half up hairstyle with subtle curls, a bouffant top and blunt fringe screams 80’s! A voluminous crown slenderizes the face and makes it appear angular. Highlight your gorgeous peepers by asking your hairstylist to cut your fringe below the brow area. For the subtlest of curls, use a narrow flat iron. Get a thin section of hair, clamp it in between the flat iron, slide the iron towards the end then roll it upwards. Release the clamp after 5 seconds. Apply a few spritz of hairspray once your hair has cooled completely. A half up hairstyle plus a huge puff is still one of the best hairstyle pairings. R..
A half up hairstyle plus a huge puff is still one of the best hairstyle pairings. Rolled out curls is also in vogue and very flattering. Curl your hair from the ends going up and stop midway. Use large-barreled tongs for this type of coif. Group the curls using your fingers to maintain the shape. Backcomb your way into an unmistakably lovely vintage hairstyle on your next par..
Backcomb your way into an unmistakably lovely vintage hairstyle on your next party! Hannah Simone’s loose bouffant with side-swept bangs is truly a hairstyle winner! Gone are the days of helmet-like bouffant with a parched finish. An updated version features bounce, sheen and softness. Second day hair works best when creating this hairstyle. Apply a texturizing mousse on top and in front that’s alcohol-free so as not to dry out your tresses. Do a good blowout (lifting from the roots) with lots of body. Tease the top portion of your hair, spritz with hairspray then blow dry. Shape the bouffant as well as the bangs. All hail Wonder Woman! Gal Gadot – recently announced to portray the kickass su..
All hail Wonder Woman! Gal Gadot – recently announced to portray the kickass superheroine in the 2015 flick Batman vs. Superman – sporting an effeminate retro curls that frame her strikingly gorgeous face perfectly. No time for the conventional way? Apply mousse or a styling cream with real holding power all over your mane before curling your hair using medium-sized hot rollers. Remove the rollers after 15-20 minutes then allow hair to cool. Use a large brush to shape curls according to your preference. Use a hairspray after for a lasting style. Add instant glamour to a layered shoulder length haircut through big, romantic cur..
Add instant glamour to a layered shoulder length haircut through big, romantic curls! Mary Elizabeth Winstead’s version is a bit retrofied with a modern touch. Make the parting extreme and the curls bouncier, soft and glossy. Ditch the dull-looking and super rigid hairstyle of the past. A beehive hairstyle is always a delight to see. 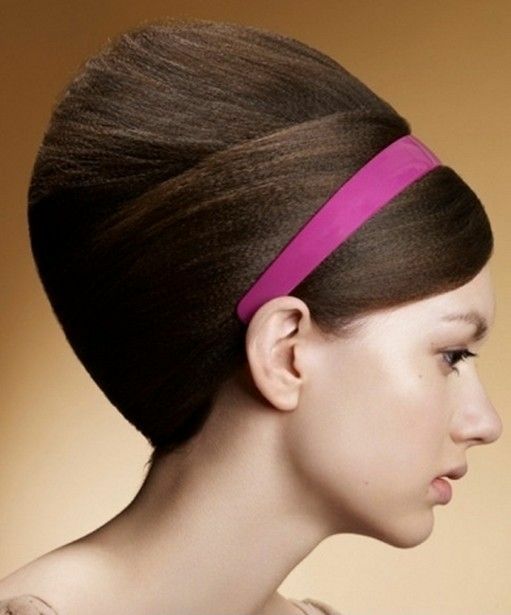 It has a dash of eccentricity but..
A beehive hairstyle is always a delight to see. It has a dash of eccentricity but is still unmistakably elegant. 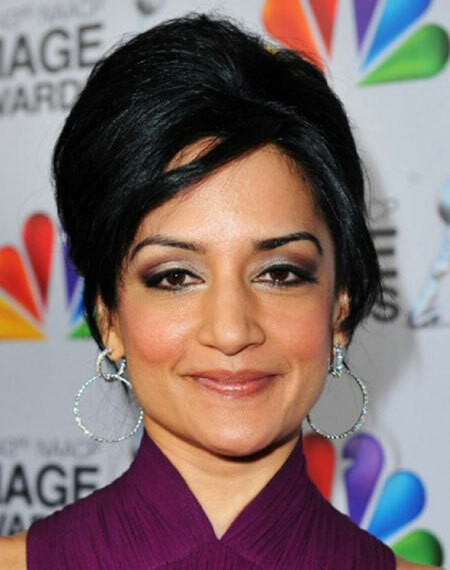 Instead of doing a centrally even beehive that will make the Coneheads swoon, Archie Panjabi opted for a slightly tilted version. Not too shabby, we say. Create a large bun under that pouf to make your beehive extra large. Tease your hair gently from the roots and use a hairspray with a super strong hold to make the coif last. Alice Eve looks like a real live doll with her super shiny blonde locks styled in..
Alice Eve looks like a real live doll with her super shiny blonde locks styled in a retro bob. To add a modern touch to the look, make it less structured. Curl the ends only instead of doing heavy pin curls all over. This style looks more ‘alive’ as opposed to the rigid effect of back-in-the-day coif. It’s glossy and definitely touchable. We love this ‘do! 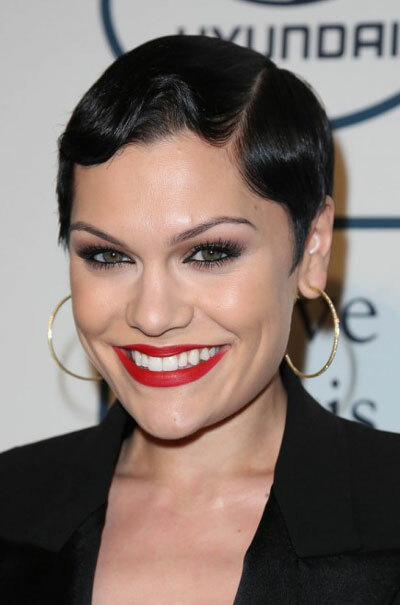 It’s very sophisticated and truly exhibits high glam except for..
We love this ‘do! It’s very sophisticated and truly exhibits high glam except for the bobby pins. Ditch the bobby pins when you recreate this hairstyle. The pins are there to set the style after you’ve spritzed some hairspray. Do a swift blow dry over your mane to set the style further then gently remove the pins. Applying gel before working on your hair will make everything way easier. Try it!